Last Thursday I received the "Hello Thursday" email from Provo Craft. These emails come on the third Thursday of each month and usually contain announcements of the newest cartridges that will be released soon. (If you do not receive these emails you can sign up on the Cricut.com site to keep up on all of the news. Look for the purple area at the bottom right of the page). 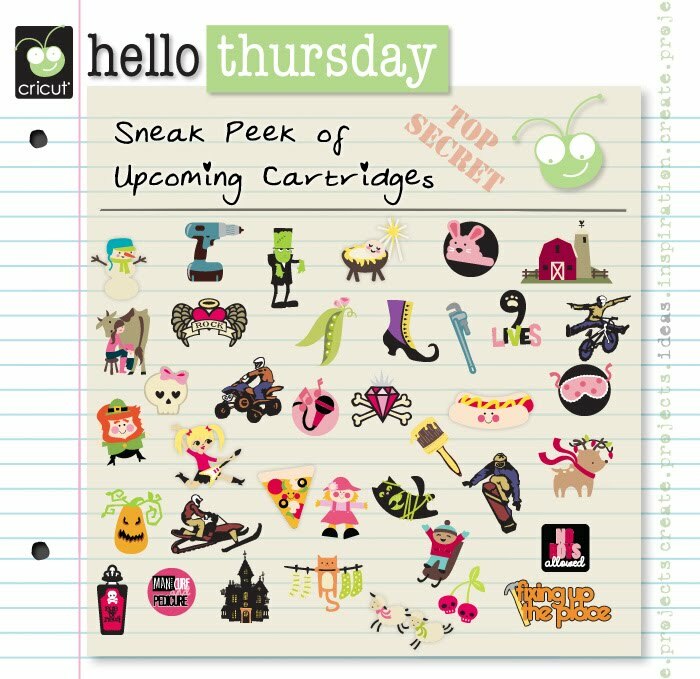 This month there was a "sneak peek" with images from future cartridges combined in a teaser collage. Here is the image that was in my email. You can see that there are lots of themes - I am not sure how many cartridges are represented in this image. It does look like the long requested "cat" cartridge may finally be making an appearance. I also see Halloween, extreme sports, farm, tools/home improvement, some more "indie" type images, various holidays, a "spa/girly" group of images and food with faces (!). Two more retiring cartridges were announced - Printing Press and Paper Pups. This brings the list of retiring cartridges to eight: Solutions Cartridges - Blackletter, Christmas, Sans Serif & Street Sign and Full Cartridges - Stamped, Tags Bags Boxes and More (announced last month), Paper Pups and Printing Press. There will also be more Cuttlebug folders that are designed to coordinate with Cricut cartridges. These are called "Cricut Companions" and the sets listed are Once Upon a Princess, Robotz, Heritage, Sentimentals, Create a Critter and Preserves. Images of these folder sets were on the Cricut.com site when I looked on Thursday, but when I checked today they were no longer posted - they may be back soon....(ETA - the images are live again - you can click each name to go to the page for that set and see a full view of each folder). When I saw the folders, my first thought was that these were a terrific idea and will be great to further enhance any Cricut projects made with these cartridges. The first set of Cuttlebug folders to coordinate with a Cricut cartridge was the Asian Bundle which works well with the Pagoda cartridge. These new sets look like they have more of the actual cartridge images to emboss. I think I will be "needing" most of these! The folder that really caught my attention was one that coordinates with the Heritage cartridge. I designed a number of files when I first got this cartridge and most of them I haven't posted yet. 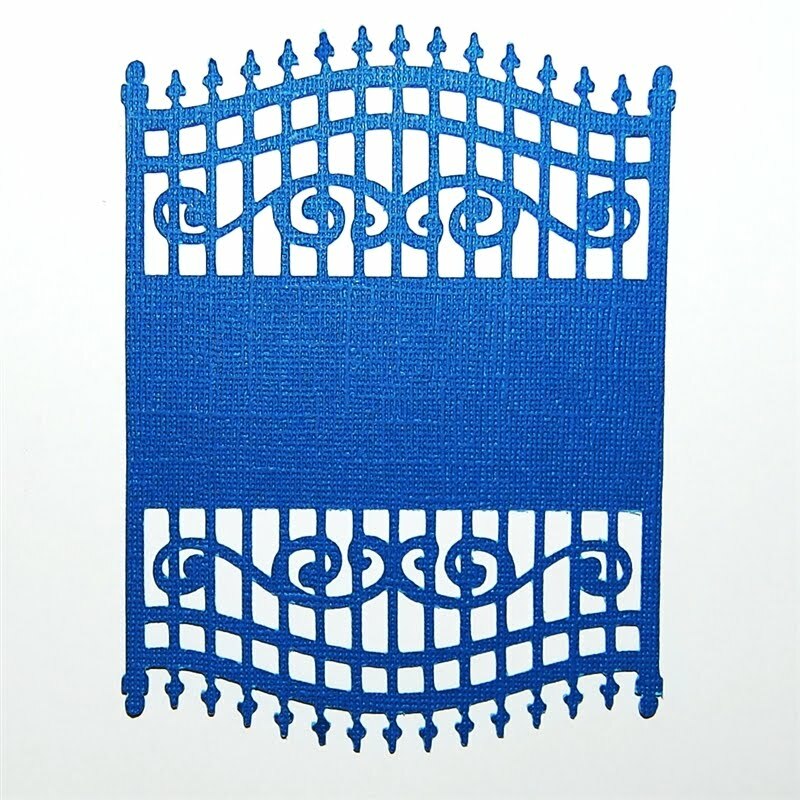 One was this card topper which is very similar to the image of the embossing folder! It just goes to show that given a certain set of images, different people can have very similar ideas on how to use them. 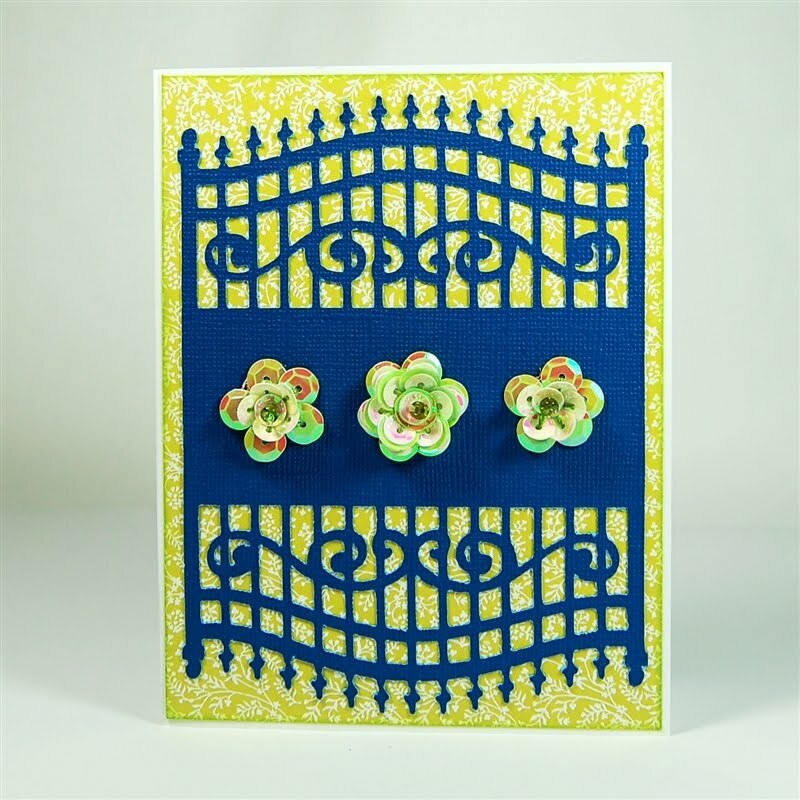 I used this trial cut for the card at the top of this post. I'll share more details about it at another time. To answer the question I know I will get, those lovely sequin flowers are from Creative Charms (here is a LINK to the page on their site where you can see more about them). I hope you are having a nice weekend - it is rainy and chilly here but predictions are that the weather will improve for the Boston Marathon on Monday. What a pretty design, its one of those designs that doesn't need much else to make it look good, it is pure beauty on its own. I love that fence. I've used it several times since you first posted it as a cage. Thank you. Gorgeous day in Seattle area! 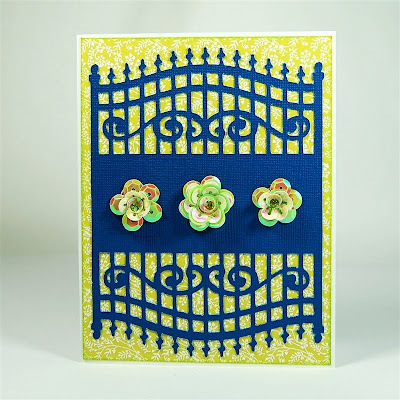 Love this gate design and the flowers set it off just right. 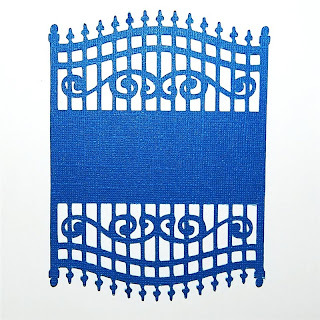 I am looking forward to the release of the embossing folders that go with the cartridges. They will step up our designs so. Sorry the weather was not so nice for you. Here in Tennessee is was in the 60's and sunny. I hae worked all afternoon in the yard. The iris are just starting to bloom and my dogwood is just to die for this year. Looks like there is going to be some very "boy" oriented cuts coming on the new cartridges! That's great, can't wait.